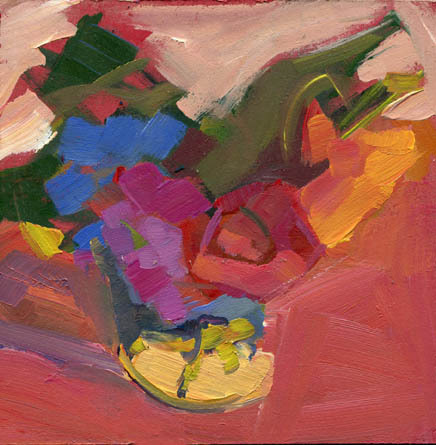 sold The 2014 MassArt MFAWC students are arriving in Massachusetts to start their third residency. 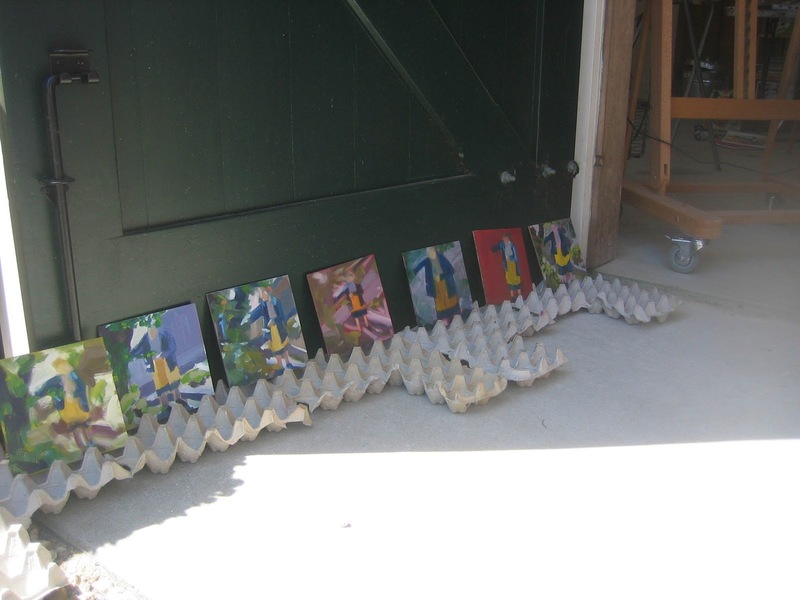 My class heads down to Provincetown one last time the week of the 8th for our thesis defense. still life, acrylic, 6" x 6"
sold My final thesis is written and uploaded - I've had homework for two years - I (almost) do not know what to do with myself! 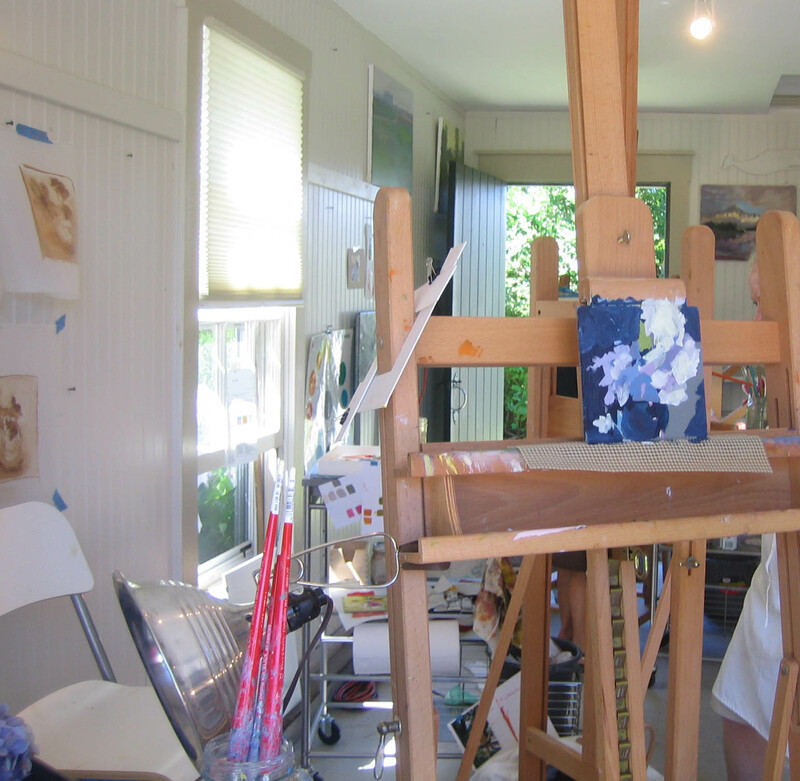 Of course, there is still the studio work to button up before the thesis defense in September. 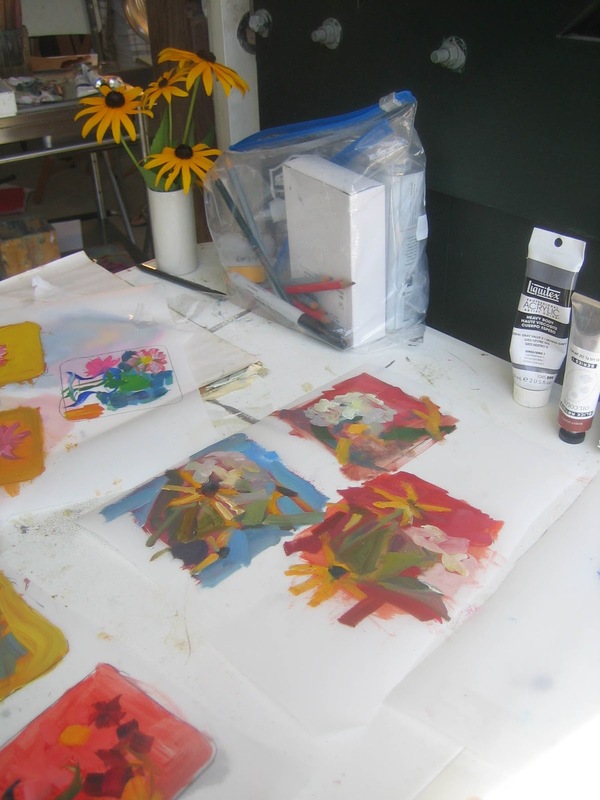 The studio floor is currently a tangle of paper, paint and paper towels - today while painting I stepped in a palette - turning the bottom of my shoe into the most delightful monoprint device. 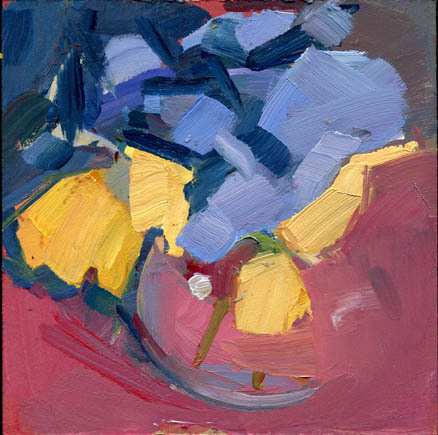 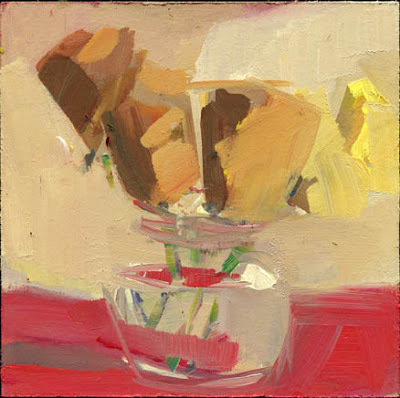 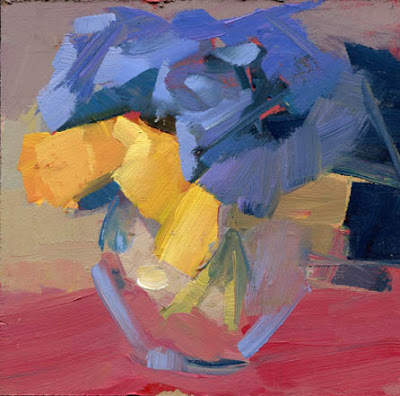 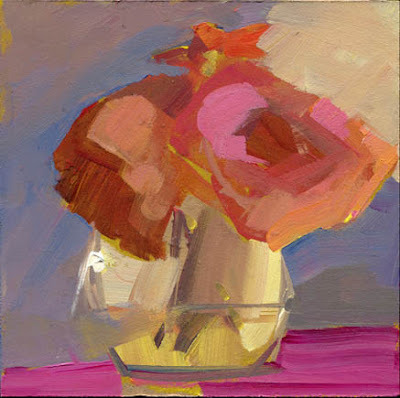 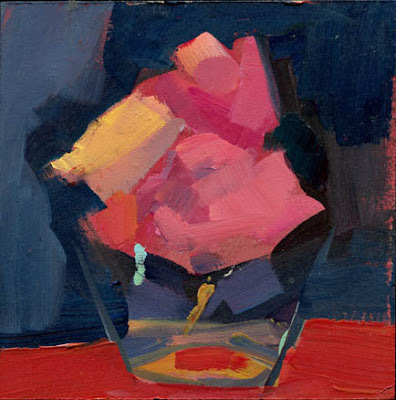 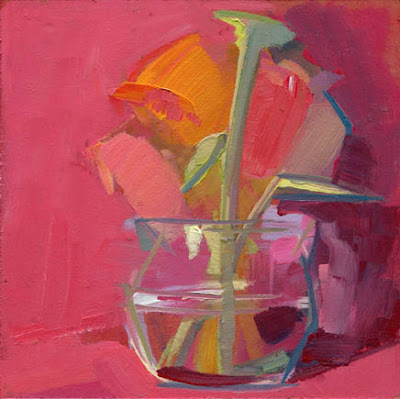 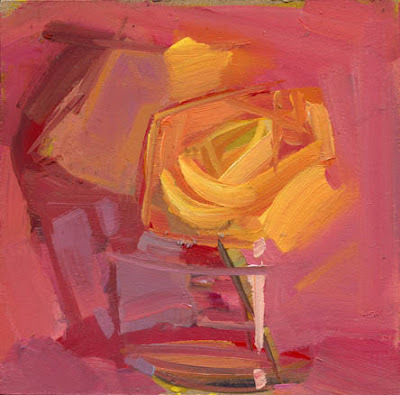 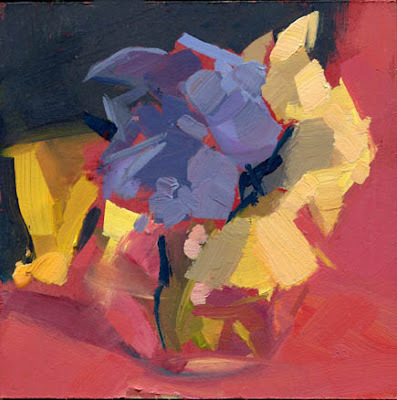 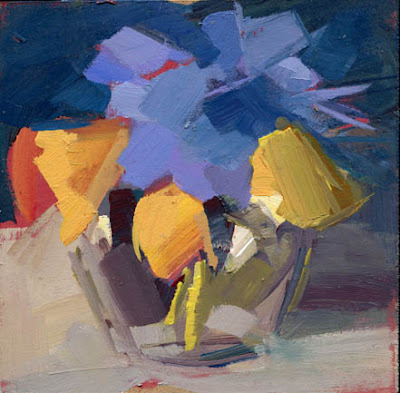 still life, acrylic, 6" x 6"
sold still life, acrylic, 6" x6"
Below are some more photos of the Nantucket workshop held at Nantucket Oil Workshops We did value studies in oil on mylar and timed challenges too. Today it was back to thesis writing for me - twelve days until the final is due - ! I'm back from Nantucket! 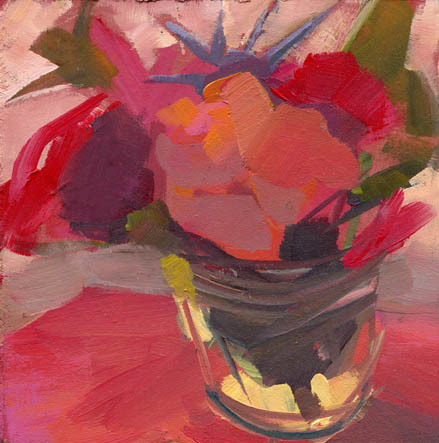 The Barnacle Inn, where I stayed had little arrangements in each window in the hallway - come to find out, no one on vacation is awake at five a.m., so no one missed this little flower. Below is today's demo and below that is the table full of fresh flowers that we painted. 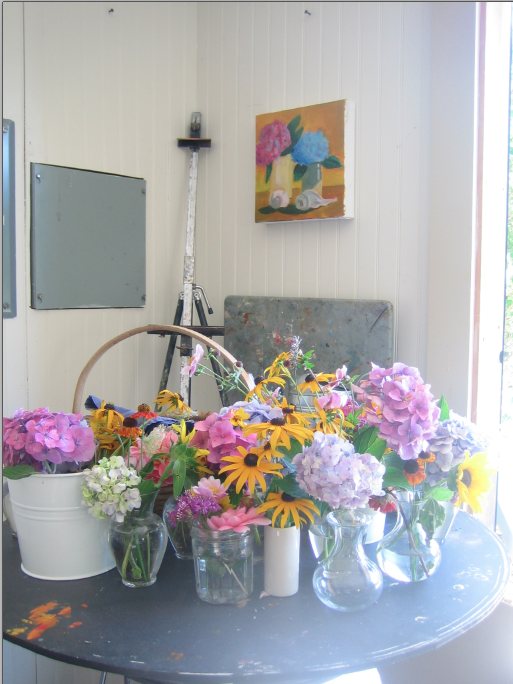 All of the flowers were grown at the Nantucket Oil Workshops School or by the students. 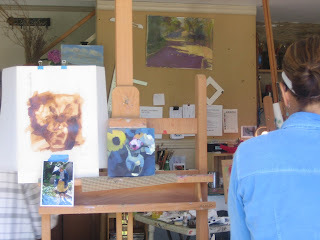 And that little painting, above the table is a work in progress by a very talented and enthusiastic (and patient) eleven year old - this painting wasn't done for my class, but I had the pleasure of meeting her and watching her work for the two days. 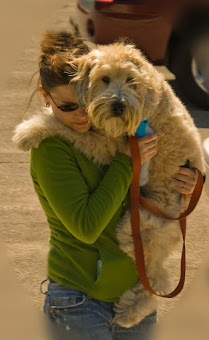 More photos and details tomorrow - and I miss everyone already! 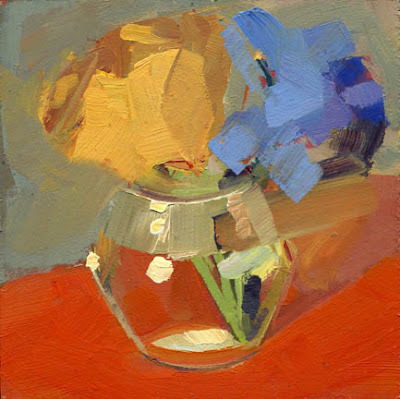 sold We just finished day one of our two day workshop here in Nantucket. 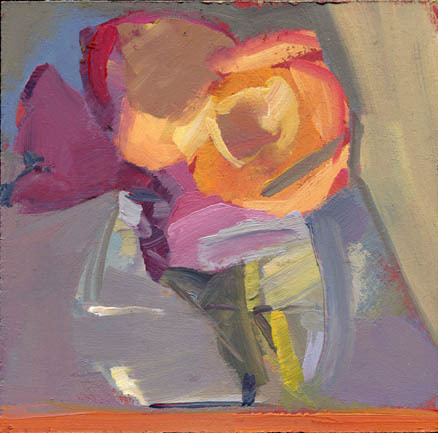 We painted in oil on Mylar today to loosen up a bit. 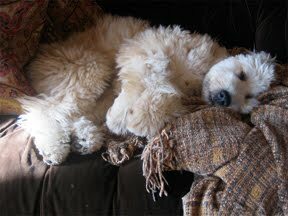 I will post photos tomorrow when I get home. 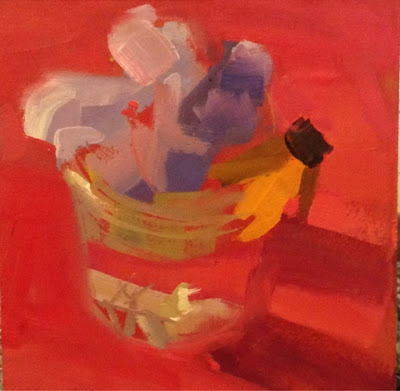 I stopped by the Nantucket Lightship Basket Museum after class to look at their current exhibit, "Coming Home," which had many baskets on loan from private sources. 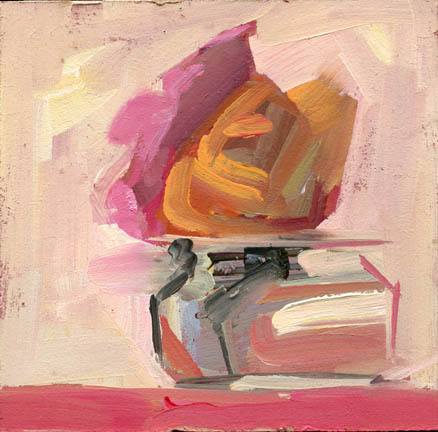 Still life, acrylic, 6"x 6"
Sold The car is packed and the dog is on high alert - she's come to relate my packed suitcases with her stay-cations. I'll definitely be painting tomorrow - even if I don't post - but I can't imagine I won't have internet access. 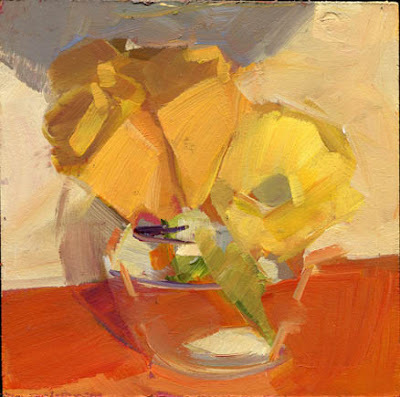 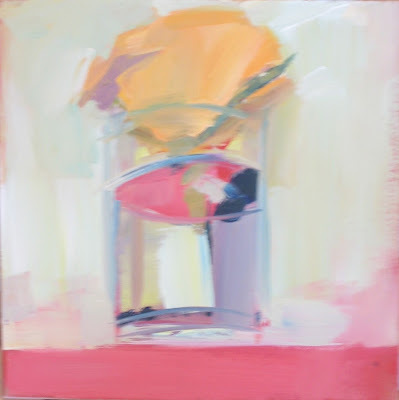 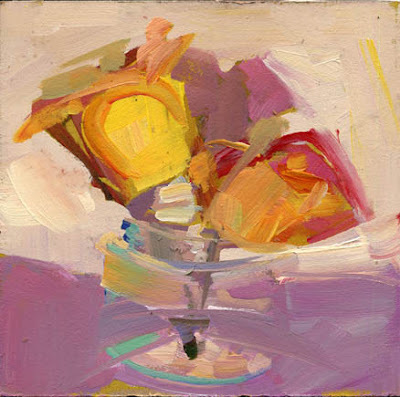 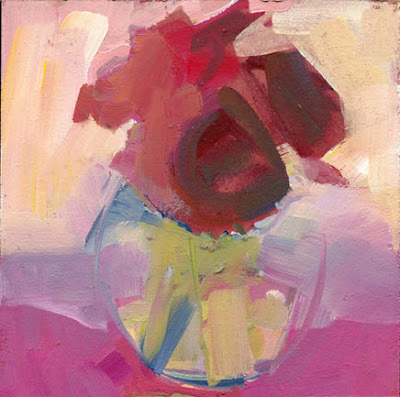 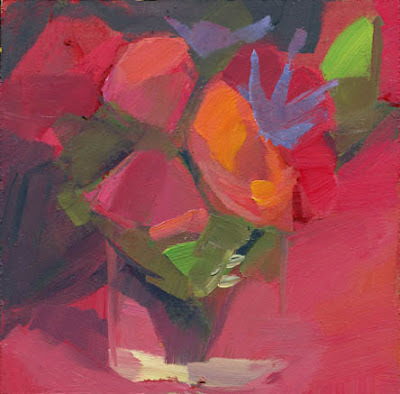 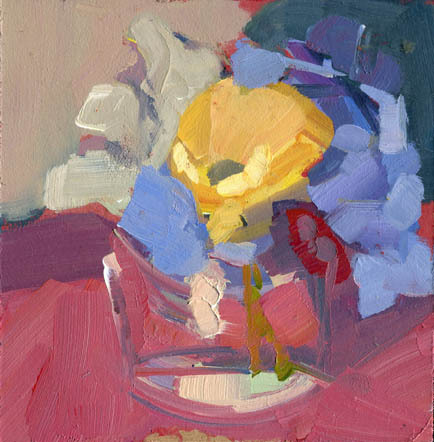 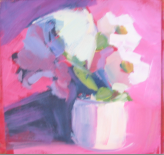 still life, acrylic, 6" x 6"
sold I'm off to Nantucket tomorrow to teach a two-day workshop. 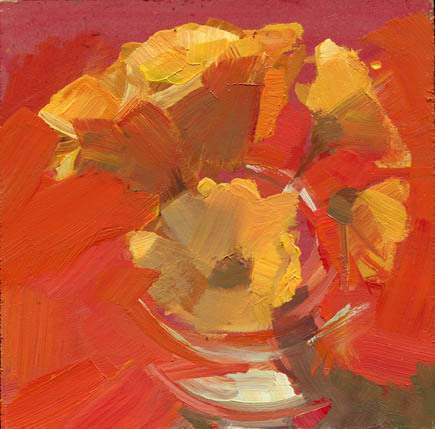 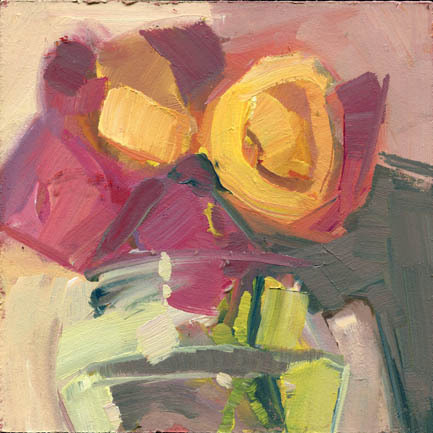 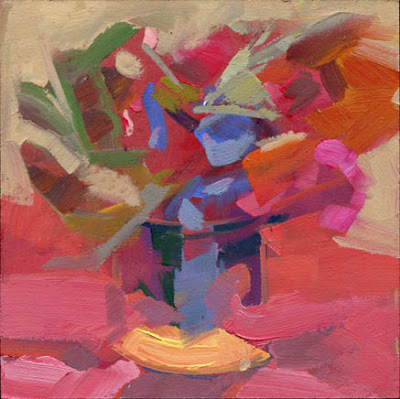 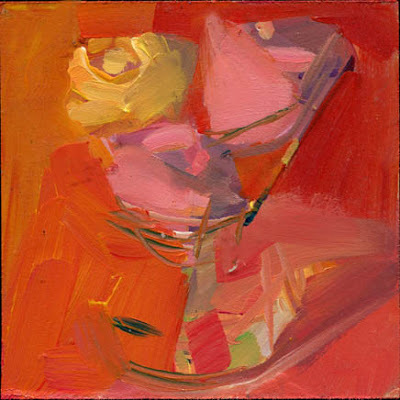 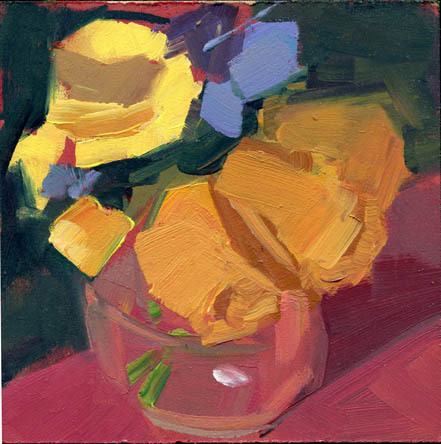 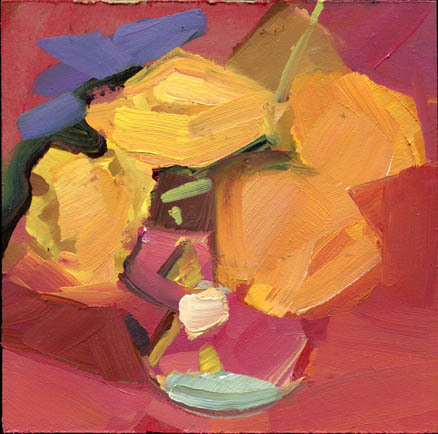 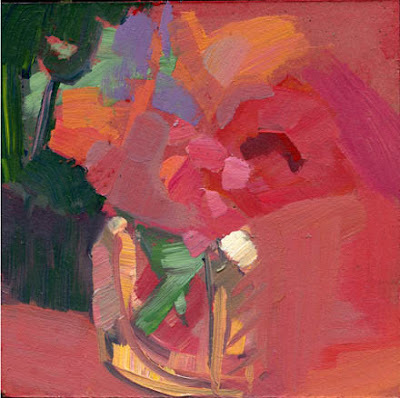 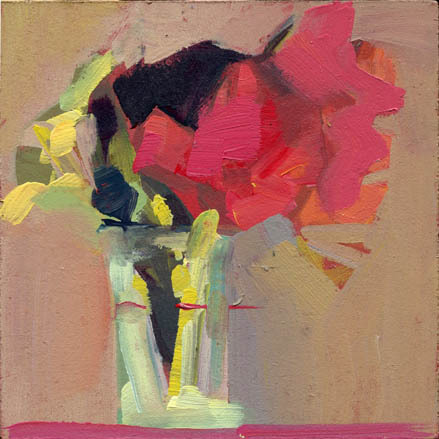 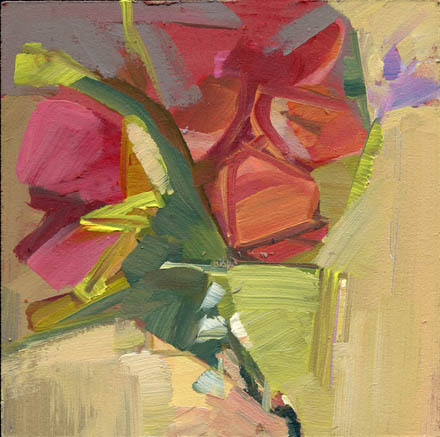 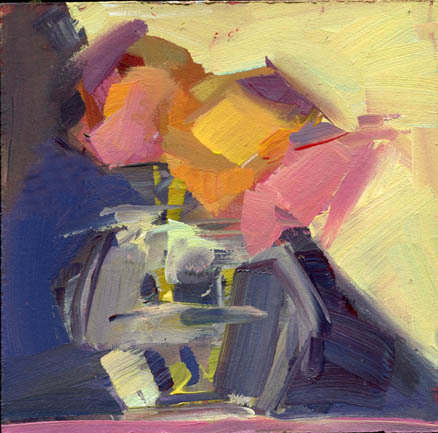 sold still life acrylic, 6" x 6"
sold I toned this canvas with Hansa Yellow instead of red today.